With over 22,000 design templates and 20 million paying customers, TemplateMonster is one of the largest web design marketplaces on the Internet. While there are tons of similar services out there, TemplateMonster was one of the first companies to introduce ready-made templates and themes into the market. 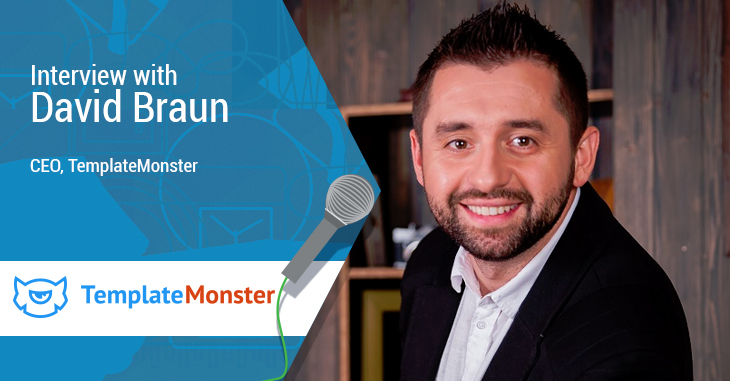 And at the center of TemplateMonster’s success is their CEO David Braun. David founded TemplateMonster in 2002, and over the past 15 years, he has grown TemplateMonster into an 8-figure company employing over 400 people. I was interested in finding out how David had managed to automate his business to such an extent, and how he had managed to build and retain such a large team remotely, so I reached out to him for a quick interview. I kicked it off by asking him first about how he came up with the idea of selling pre-designed templates. “When I started out, I used to work at a web design studio, which was a new and pretty successful business in our town. Still, the results weren’t perfect, so I started thinking about alternatives. During that period, I noticed one of our designers, who completed an unbelievable amount of orders every day. One day, he told me a secret to his productivity. It was a library of ready-made elements that he created in Photoshop. Truly speaking, I wasn’t a web design guru in those days and had not even heard of ‘website templates’ before. We then tried to build some ready-to-use themes and tried to sell them as Photoshop files. That is how I got the idea, which later became a fantastic business. The fact that David manages a huge team of designers, developers and marketers remotely would sound impossible to most people. You would have to have extensive expertise in hiring, team building and streamlining processes to run such a large team from varying cultures and backgrounds. “I guess relationships with people are more valuable than profit. Sometimes it doesn’t looks that way, but in the long run that’s what leads to the ideal win-win situation. This simple rule works both for customers and business partners. The truth is that you always need to keep moving and develop your deal, working with different people and countries, if you’d like to be successful. In my opinion, the most important unique selling proposition of TemplateMonster is the famed customer support they provide to their clients. I wanted to know how it helped them in growing their business. “Well, every template has an easy and well-documented guide that was added to the package in order to help our customers with the installation of the themes. Furthermore, we have made many detailed tutorials for those who have just started building their websites. For example, we have a blog where we share educational information with tips and also have the official TM’s channel on YouTube, which also includes useful and actionable info. Also, it might look like there is no need of customer support at all. Still, TemplateMonster has a support service that walks you through the process of building an attractive and well-running website. We truly want people to enjoy the process of the creation and help them to become the happy owners of not just good, but perfect online projects. And that’s why we prefer to provide everyone with individual assistance. In fact, TM is the only theme developer that provides lifetme customer support without charging any extra payment. It truly is. It’s one of our central tenets at TechWyse too! For businesses just starting out, it’s difficult to gain that initial traction and first few sales — but the best way is to leverage your existing relationships. TemplateMonster’s humble beginnings were also dependent on relationships. “As I already mentioned, we started TM as s small web studio. Officially, TemplateMonster was born in 2002, but the idea of selling pre-packed website themes came earlier, so we tried to do our best. Yes, we sell our templates all around the world, but I actually recall our first customer — he’s from Brazil and he is still our client. Many years ago he messaged me via ICQ (that was an instant messenger back then), and asked if he could get a template for free. We were young and we were just starting our template-selling business, so I gave him a template for free. He came back and texted me that he’d made a neat project with that template, got the money from his client and wanted to send us our share. Marketing a marketplace is quite different from marketing content, services or products. As David revealed, the strategy they’ve used for TemplateMonster relied heavily on content marketing. “I wouldn’t say that our blog grew all of a sudden… we have a lot of customers and thrust resources that send us all the traffic. 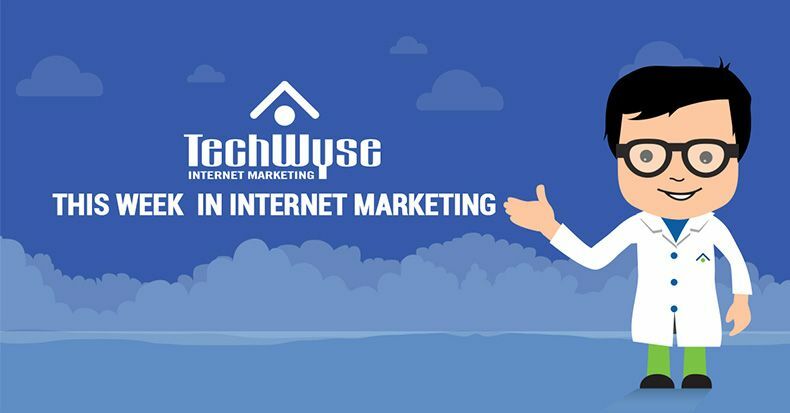 The fact is that during the last six months the website has grown as we focused on referral traffic from some top blogs, forums and other popular resources niche-related to web design. As a result, during this year there were more than a thousand posts published off-site that told the world about our company, our services and products. In addition, we created a brilliant certification center and a web studio catalog. Besides this well-rounded marketing plan, they’ve also carefully tailored their lead acquisition methods over the years — which includes keeping track of the prices offered by competitors and then offering competitive prices and seasonal deals, and monitoring negative feedback. “Needless to say, caring about your customers is the best strategy if you’d like your business to earn popularity. Things didn’t always go smooth for TemplateMonster, but the fact is that negative feedback helped us to understand the needs of our clients and take the right turns. 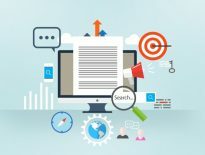 “There are several general rules on conversion optimization that you should consider before your even start working on your website. First of all, you need to have your title and meta description optimized. In short, it means that the message, which you want to convey and communicate through the page need not only be clear, but also has to be present in your title tag. People will visit your site from the search engines, and you need to make sure that what they see when they actually get to your page is relevant to what they see before they click your link in the search results. If you do that, you will not disappoint them, and the consistent page interaction experience is very critical for the page’s success. Perhaps one of the most important decisions of the TemplateMonster team was to switch to a marketplace model that’s open for freelancers and designers to sell designs of their own. Although this sounds like a logical transition, there is one problem: they had to find a way to ensure the quality of the designs. “To be clear, our customers are people who buy templates to design websites for their clients and for their own online businesses. I saw that some of the templates were modified by our customers so professionally that now those websites are brilliant examples that are even better then the originals. That is why we decided to be open for freelancers, so that designers and developers are able to send us themes that were developed independently. The system is invite only. As we neared the end of the interview, our talk shifted to something I ask almost everyone I interview: what are your recommended productivity hacks and tools? “Our company has a lot of departments and each one uses helpful tools depending on the team’s tasks. The examples range from the well known Google analytics platform to tools such as Similarweb and Buzzsumo. We also use professional analytics for analyzing the communication between the departments. I agree. We religiously follow processes at TechWyse too, and it helps us a lot in evolving and optimizing our efficiency over time. Check out even more interesting and insightful interviews with renowned marketers.